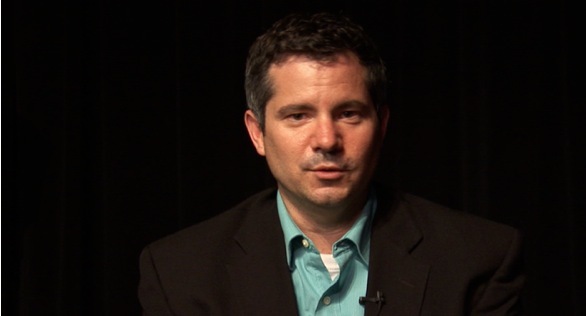 To capture professional looking video, you do not need expensive equipment. However, you do need to understand how your camera sees the scene. A digital video camera sees differently from the human eye and it needs light to process images. Professional photographers and cinematographers control the light and its effects on the subject. Using “natural light” does not mean that light is not being heavily controlled in professional situations. 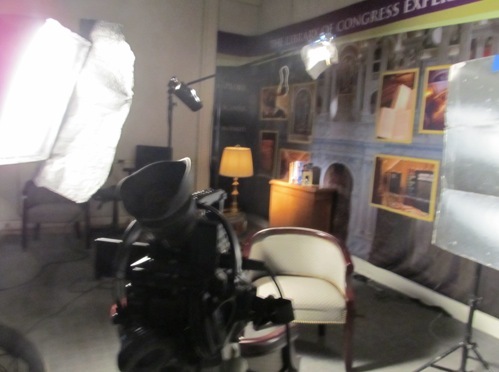 I prefer the use of lighting kits to control the lighting of an interview scene. 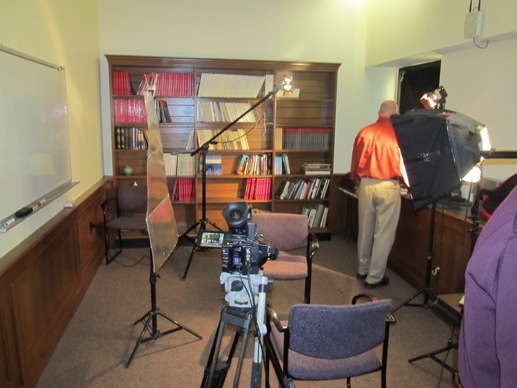 This short essay will explore three-point lighting, a basic but an effective technique for lighting an oral history interview that can give your interview a more professional look. The Key Light This is your primary light source. The Key Light is the light source that shines directly on the subject and it is the strongest source of light of the three sources. I prefer that the Key Light be placed to the side of the camera (about 15-25 degrees) and elevated, shining down at a 45-degree angle on the subject to minimize shadows. The Key Light alone will greatly illuminate the subject, however, it will inevitably create shadows. Utilizing just the Key Light will also tend to blend the subject into the background. As you can see in the figure 2, there are dark shadows on the right side of the subject’s face. Figure 2: Key Light Only Additionally, the subjects hair and the shoulder line tend to blend into the black background, especially since the hair is still mostly black and the subject’s suit coat is also black. When lighting the subject with the Key Light, you should be especially aware of the creation of hotspots. For example, see the top left corner of the subject’s forehead in Figure 2. The Fill Light This light is set off to the side of the subject, illuminating the shadows that are invariably created by the key light. I prefer that this light be much lower power than the key light (I prefer ½ power) and placed about face-level. As you can see in Figure 3, the shadows created by the Key light on the right side of the face have been balanced. Additionally, the Fill Light helps to balance out the hotspot of light on the subject’s forehead. 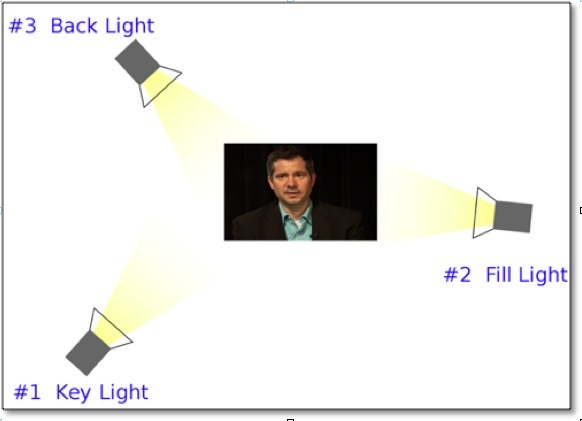 Figure 3: Key Light + Fill Light The Fill Light does not have to be a mechanically powered light. The Fill Light source could be any “controlled” source of light, such as a window or the reflection of light from another source. Functionally, the role of the fill remains the same. Reflection can be created by bouncing light off of a white wall, or it can be achieved by using a commercial reflector which can cost around $40-$50 dollars and can be mounted on a stand, hung from a ceiling or held in the hands of a patient and steady friend. Back Light (Hair Light) The Back Light functions to balance additional shadows and define the edges of your subject. Capturing video in an interview context with just a Key Light and a Fill Light will appear flat and lacking dimension. The Back Light will define the line around the subject’s head and shoulders, which will separate the subject from the background, adding dimensionality back into the scene. The difference is subtle but very important for achieving that professional look. Figure 4: Key Light + Fill Light + Back Light As you can see in Figure 4, the Backlight separates the subject from the background, especially with regard to the lines around the head and the shoulders. This light source is crucial to achieving that professional look; however, it is often the light source that gets neglected in an amateur setup. APA Boyd, D. A. (2012). 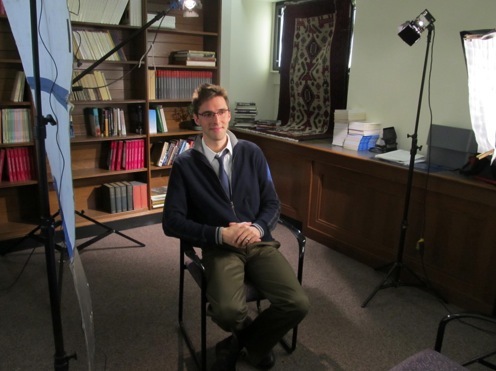 The art of lighting for recording video oral history interviews. In D. Boyd, S. Cohen, B. Rakerd, & D. Rehberger (Eds. 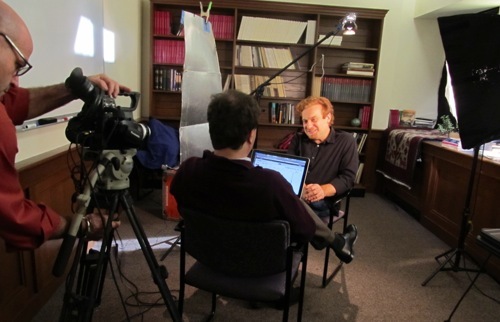 ), Oral history in the digital age. Institute of Library and Museum Services. 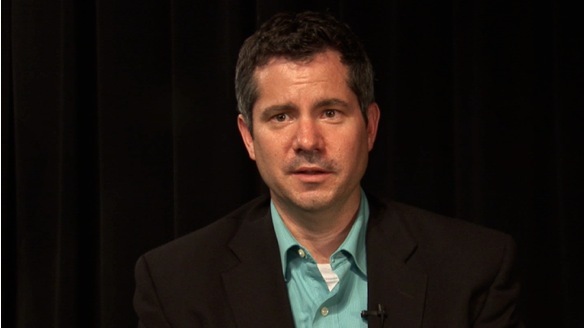 Retrieved from http://ohda.matrix.msu.edu/2012/06/the-art-of-lighting-for-recording-video/.